Several decades after the civil rights movement swept the country, it seems that Florida’s sentencing system is still treating certain minority offenders differently as compared to white people convicted of the same crimes. 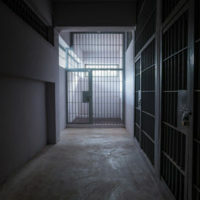 Sarasota’s Herald-Tribune issued a report based upon a year-long investigation into the state’s laws regarding punishment, finding that blacks are given fewer opportunities to avoid jail or reduce felonies to misdemeanors. In addition, the sentencing system results in black offenders spending more time in jail, at times double the prison time as whites convicted under similar circumstances. As the state legislature continues to try and make the system more equitable, the current sentencing structure remains in place for misdemeanors, felonies, and certain crimes termed “10-20-Life.” No matter what your ethnic background, your chances for a better outcome increase if you hire an experienced Florida criminal defense lawyer to represent you in court. A misdemeanor is any crime that would be punishable by less than one year in a county correctional facility, excluding non-criminal traffic or offenses or violations of municipal ordinance. Misdemeanors are categories by degree, with a first degree offense being the most severe. A second degree misdemeanor might subject an offender to a maximum of 60 days in a county prison. Offenders may also receive a fine as part of their sentence for a misdemeanor. A second degree crime may lead to a fine up to $500, and a first degree misdemeanor carries a potential $1,000 penalty. In Florida, a felony is a crime that is punishable by imprisonment in a state penitentiary for a period in excess of one year. Like misdemeanors, felonies are grouped into degrees by the severity of the offense. A third degree felony is punishable by a prison term not to exceed five years. Certain crimes are punished under the state’s 10-20-Life law, which requires mandatory minimum sentencing for offenders that use a firearm during the commission of a felony. Shooting a person during the commission of a felony is a minimum of 25 years in prison and maximum life sentence. The 10-20-Life law also covers additional offenses, including certain drug crimes and types of aggravated assault. Florida lawmakers continue to work on the state’s sentencing system, but – fair or unfair – the laws remain in effect. Depending on the charges you’re facing, you might receive an extremely harsh penalty, so it’s important to have a criminal defense attorney on your side. Fort Lauderdale lawyer Kevin J. Kulik has represented many clients in all types of criminal cases and will work to obtain the best possible result. Please contact our office today for a confidential consultation.